School Teacher Susan Reinert & her 2 Children-- Michael & Karen was last seen leaving their Home in Ardmore Pennsylvania on 6-22-1979..
On 6-25-1979 Susan's body was found in the trunk of her own car which was parked in the parking lot of the Host Inn in Swatara Township Pennsylvania..
Karen Reinert went Missing with her Mother Susan & Brother Michael on 6-22-1979 from Ardmore Pennsylvania..
Police discovered a photograph of what appears to be a grave & are trying to identify the location of where it was taken..
Michael Reinert went Missing with his Mother Susan & Sister Karen on 6-22-1979 from Ardmore Pennsylvania.. The Police discovered a photograph of what appears to be a grave & are trying to identify the location of where it was taken.. The Children are presumed dead but their Remains have never been found..
William Bradfield was a bearded & charismatic English teacher.. In 1983 Bradfield was convicted of conspiracy to commit the same murders..
Bradfield was sentenced to life imprisonment died in Prison in 1998..
Bradfield enlisted Dr.Jay Smith as his major accomplice & together they murdered one mistress & her two kids..
Dr. Jay Charles Smith : Was the Principal of the school where Susan taught..
Smith was known among the faculty as the Prince of Darkness..
For Smiths part in the 3 Murders Smith was sentenced to Death in 1986.. Since those accusations Smith's daughter & her husband disappeared with-out a trace..
Only then will the Case be completed & truly be solved..
Mja believes the Photo of some type of Marker could be the location of the Children.. They were from Edmonton Alberta..
Adrien McNaughton was with his family on a fishing trip in Holmes Lake, Ontario. On June 12 1972, he wandered away from his father and three siblings into a wooded area and was never seen again. Extensive searches of the area turned up no possible evidence on his whereabouts. The podcast Someone Knows Something is currently exploring Adrien's case. Distinguishing Characteristics: White male. Blonde hair; brown eyes. Slight build. Marks, Scars: Scar - 2 inches long on forehead - over which eye is unknown. Clothing: Orange striped shirt, blue jeans, blue nylon Parka jacket, Brown shorts and running shoes. Adrian McNaughton who lived in Arnprior, was last seen wandering into a wooded area near Calabogie where he had been fishing with his father and three siblings on Holmes Lake — around 100 kilometres west of Ottawa, on June 12, 1972. 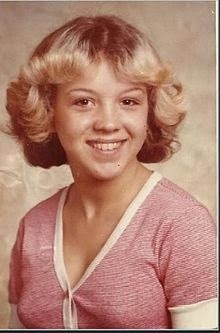 Missing since 7-20-1975 from Niles Michigan..
Janice Sanders was last seen leaving her job during the late evening hours of 7-20-1975..
Diane Faye Chorba went Missing on 7-20-1979 from Luther Michigan..
King spent the night at a friend's home on 9-15-1979..
Kimberly Alice King was last seen crossing the street to use a telephone in Warren Michigan.. The 26 year old white female went Missing on 5-30-1974 from Moundsville West Virginia located in Marshall County.. 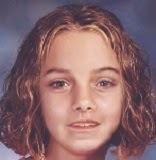 The 22 year old white female went Missing on 7-26-1992 from Bluewell, Mercer County, West Virginia.. The 16 year old Sjoberg was last seen leaving Oconomowoc High School from her high school prom during the early morning hours of 6-5-1974..
Six years after Sjoberg's disappearance..
38 year old white female Missing.. Missing since May 6, 1979 from Muskego Wisconsin..
Bayerl was last seen at her home in Muskego Wisconsin on May 6, 1979..
Photo's concerning these 2 case can be found in our Photo Gallary..
40 year old White Female Vanished With-Out A Trace on 6-14-1978 from Warner New Hampshire..
Betty Place was last seen at her home on Joppa Road on the morning of 6-14-1978..
Click the link below for more details on the Case..
24 year old White Female Vanished With-Out A Trace on 2-19-1979..
Katherine Sue Barnum was last seen in Aurora Colorado in Adams County..
Click the link below for more details about the Case..
Anna Waters was last seen between 14.00 and 14.15, playing in her family's backyard in San Mateo County, California on 1-16-1973.. Went Missing on 7-7-1972 from Staten Island, New York..
Miera was last seen on 1-10-1970 in Dixon New Mexico.. According to reports Miera did not wander off on his own, & may have disappeared with a couple living in a bus, while his mother was hospitalized 1-10-1970 through 1-11-1970..
Miss Schulze became our 45th case in November 2002.. Went Missing on 12-10-1971 from Middlebury Vermont located in Addison County..
1:00 PM Miss Schulze did not take her final exam & wasnt in her Dorm Room..
She was across from the bus station and the health food store..
Durst linked to missing woman..
Robert Durst The Real Estate Millionaire in 1971 owned & operated The All Good Things Health-Food Store in Middlebury during the early 1970s, police said..
Where Miss Schulze last seen standing outside across from the bus station & the health food store..
Now Mja has a direction to follow for Search Area's..
Photo's of the Case is in our Photo Gallary under : Mja Inc Investigations Case Photo's..
A young girl, 13-19 years old was discovered dead..
On 1-26-15 after DNA testing 1979 Caledonia New York Jane Doe was identified as 16 year old Tammy Jo Alexander..
A missing persons report was filed for Tammy by her high school friend but police departments did not have the means of communication back then that they do now..
She pushed on to find answers, and 35 years later, thanks to many people's persistence and forensic technology, this mystery is solved. However, the search for Tammy's killer is still open and active. .. 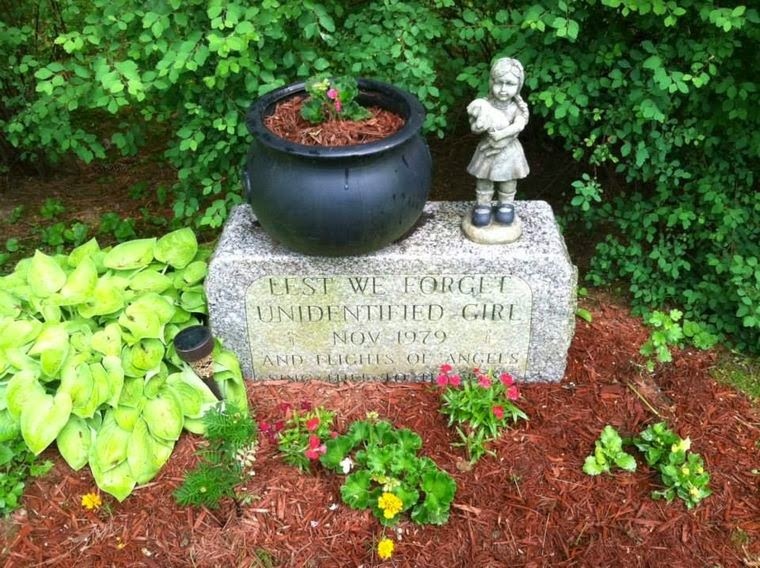 The resting place of Tammy Alexander. Mja started working on the case on 2-6-2002.. Estimated Date of Death: 2-3 days prior. Missing with her 3 Children.. 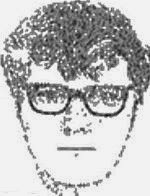 Missing since November 1974, from Independence, Jackson County, Missouri.